Leading up to the recent iPhone 5 press event there were a number of rumours suggesting that the company could also be about to reveal a new smaller version of the iPad. That obviously didn’t take place and while the new iPhone is about to land in consumer’s hands a new iPad mini leak looks convincing, and seemingly shows a working device that may mean a release could be close. 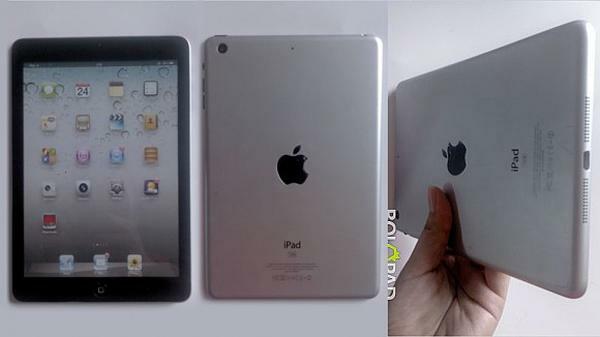 We saw a number of accurate leaks leading up to the unveiling of the iPhone 5, and as SlashGear are reporting we are seeing an increasing number of images and details being leaked about a 7.8-inch version of the iPad. The guys over at BoloPad have now leaked what seems to be the first images of a working iPad mini instead of images of alleged components or just an aluminium back panel. Apple has a history of trying to lock down their upcoming devices in an attempt to prevent such leaks, but the company is not always successful. Others may suggest it is actually Apple themselves releasing these leaks to build the anticipation up for their upcoming devices, and sources have suggested that production has already begun on the iPad mini with Foxconn plants working at full tilt to meet Apple’s demand. It is also believed that Pegatron production is also underway and if these working models are the real deal a release may be getting closer. There have been a number of rumours suggesting any such device will be launched this coming October, and if this latest leak is accurate a release next month is lining up nicely. The tablet PC market has changed direction recently following the release of cheaper options such as the Google Nexus 7, and Amazon is looking to the new range of Kindle Fire’s to add to the success the original model enjoyed. Do you think this latest leak is real? Looks real. There appears to be a rear-facing camera on the casing. Smart move, if this is the real deal. why is it running ios 5??? Nah I don’t buy it. Apple wouldn’t include the camera with this iteration. But I do wonder what the price brackett would be. Especially as the new ipod touches are to be sold for way over Â£200.